Please use the contact form for your questions regarding online subscriptions or to login. I would like to subscribe to the online version of Mining Report. I want to cancel my online subscription. I have a question about payment/bank transfer. I would like to upgrade my subscription with the additional online license. The additional online license only costs 34.50 € (excl. VAT) extra per year! I would like to subscribe to Mining Report Glückauf. 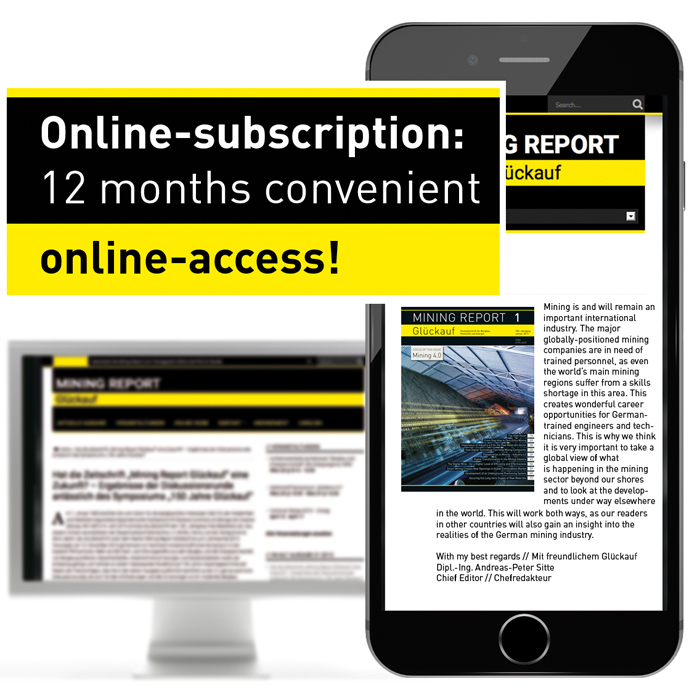 I would like to subscribe to Mining Report Glückauf as a magazine for the national annual price of 230.00 € (excl shipping, excl. VAT). The additional online license only costs 34.50 € (excl. shipping, excl. VAT) per year! 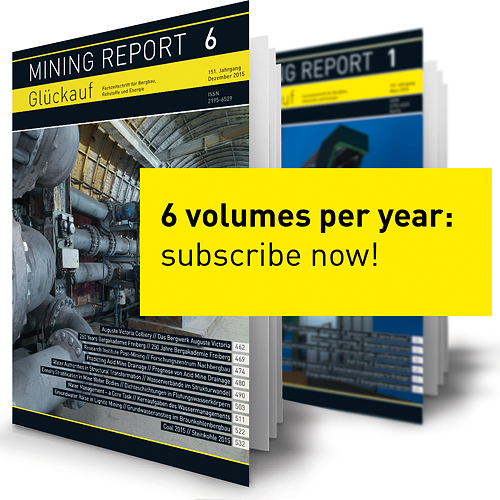 I would like to subscribe to the online-version of MIning Report Glückauf as well. 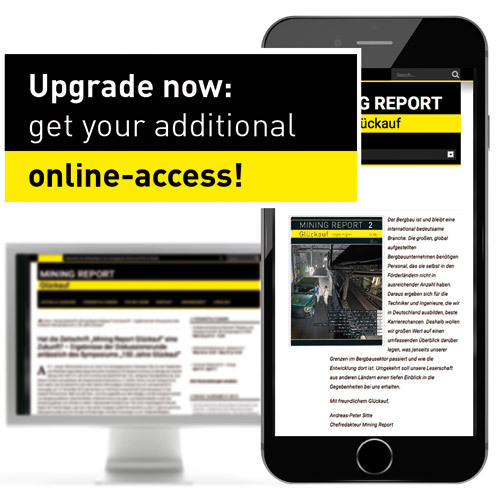 I would like to subscribe to the online-version of Mining Report Glückauf. I would like to subscribe to the online version of Mining Report Glückauf for 180.00 € (excl. VAT).